This paper deals with the problem of modelling complex transaction cost structures within portfolio management models in an efficient and effective way. We consider a general structure of transaction costs, where the applied commissions depend on the range of traded monetary amount and we use this general structure within a portfolio optimization problem with rebalancing decisions in response to new market conditions. The presence of transaction costs reduces the fund’s capital and should be properly accounted for to avoid substantial costs that impact on portfolio performance. In this paper we present a mixed integer model equipped with a specialized Branch and Bound method that exploits the specific formulation of the trading operations. 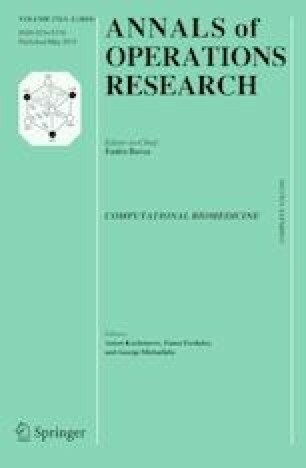 Computational experiments, carried out on transaction cost structures offered by real-life traders, have shown the effectiveness of the proposed model and the computational efficiency of the solution approach.